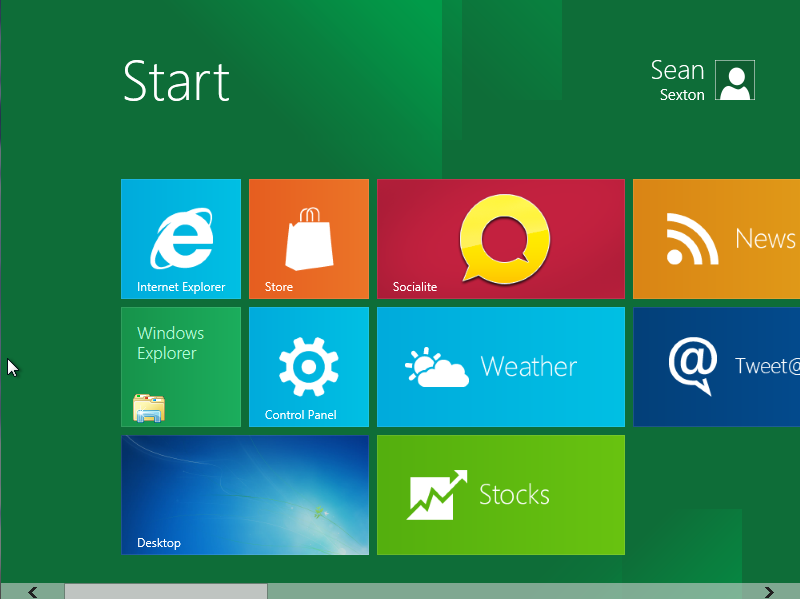 Microsoft released a Developer Preview version of Windows 8 at the BUILD conference on 13 Sep 2011. 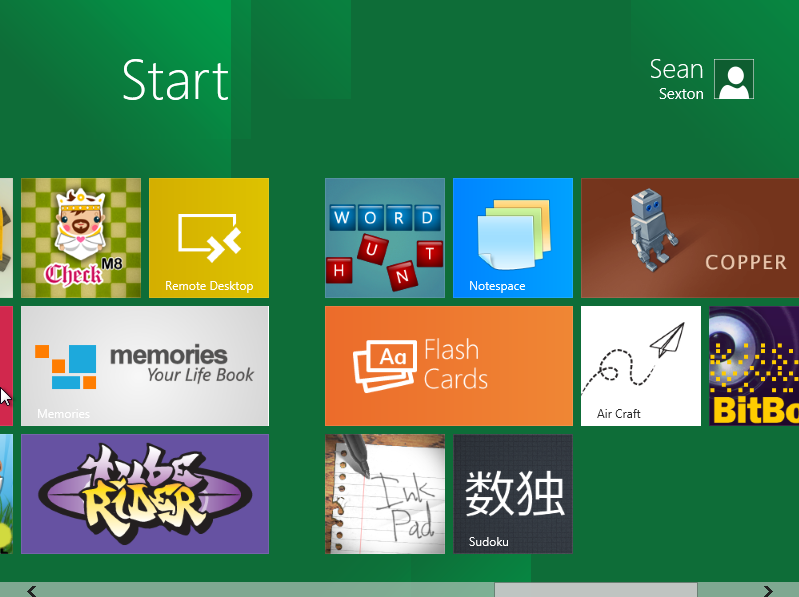 Here are all of the the screenshots from a clean install of this build of Windows 8. 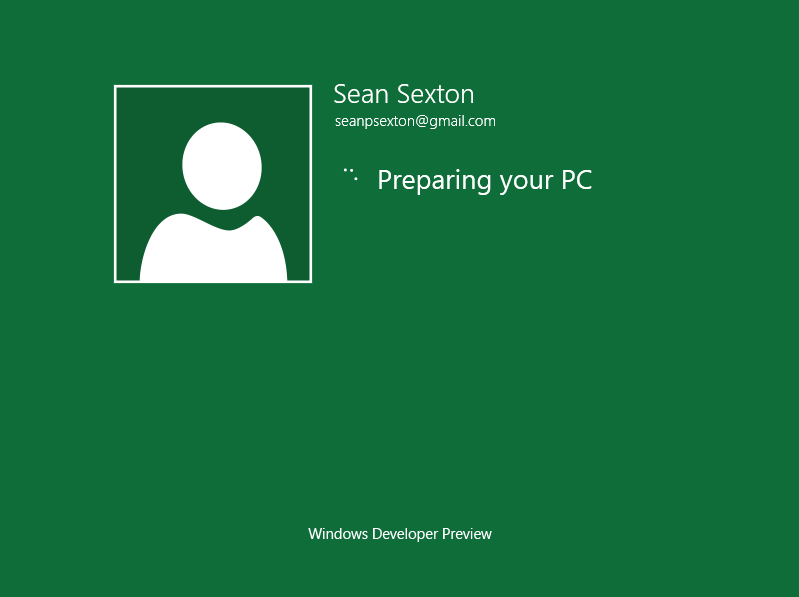 (Windows 8 M3, build 8102 – pre-beta Milestone 3). When you power up the machine, the process of booting from the DVD begins. 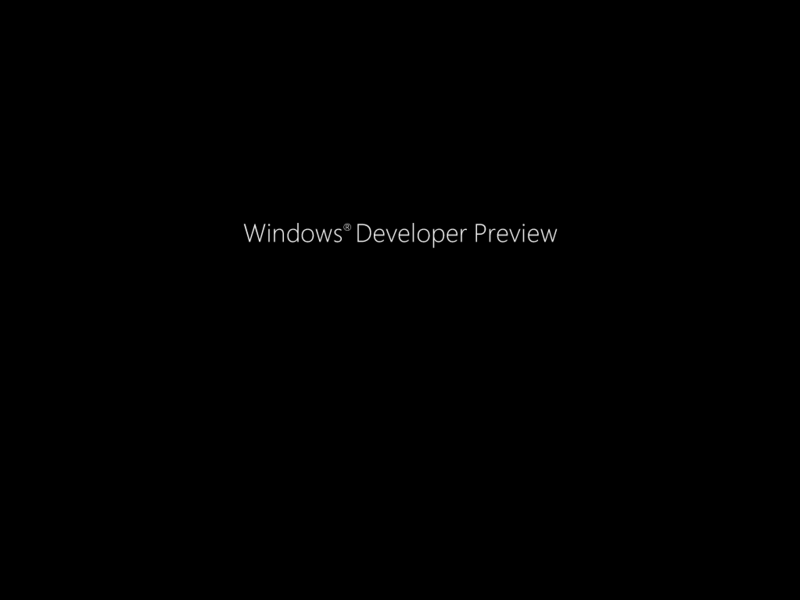 The Developer Preview announces itself. 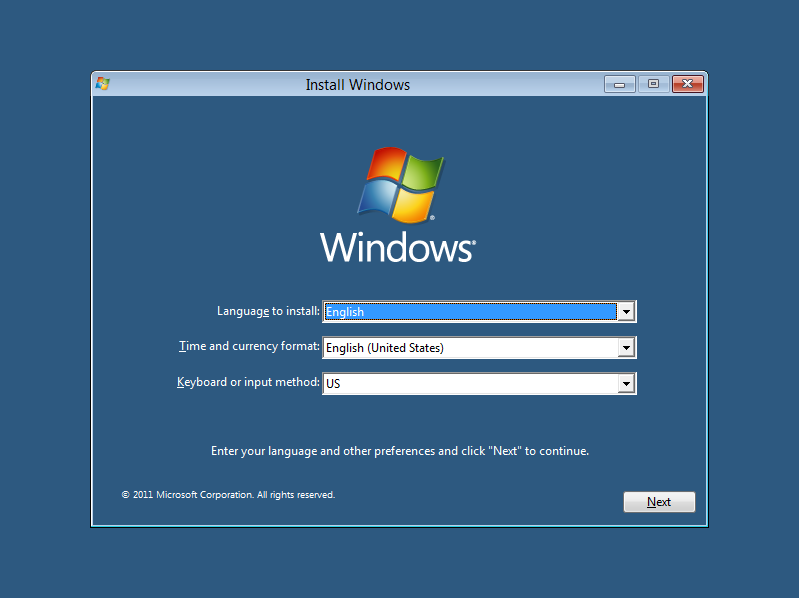 You get to the first install screen, where you get to select the language. 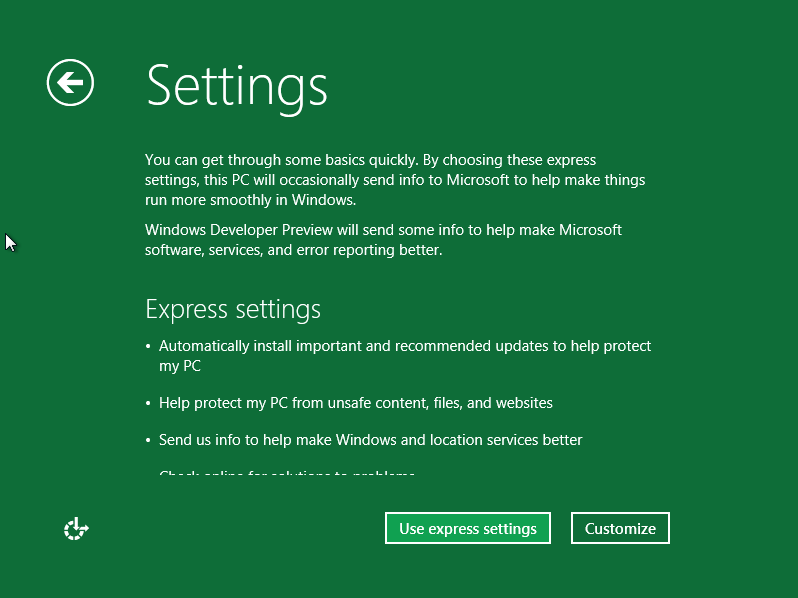 Under the “Language to Install” option, English was the only choice. 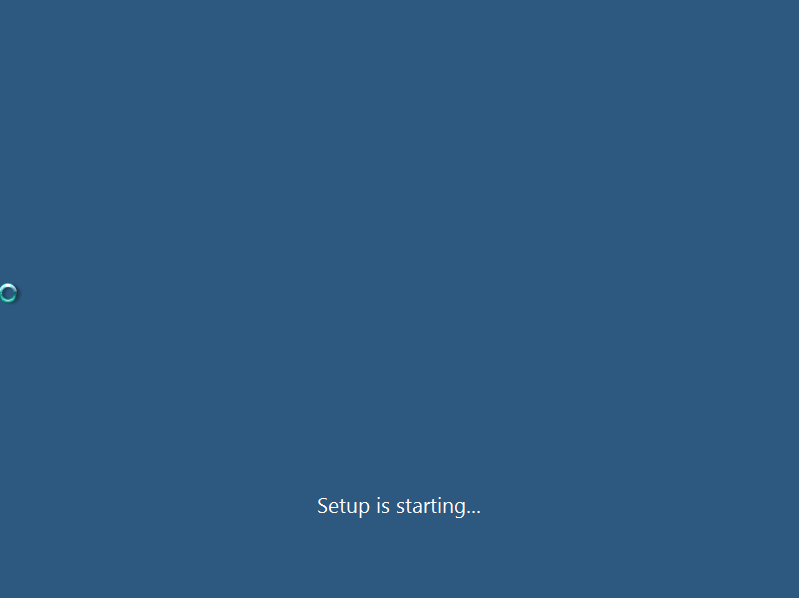 After clicking Next, you get a screen giving you the option of doing the install or starting a repair operation. 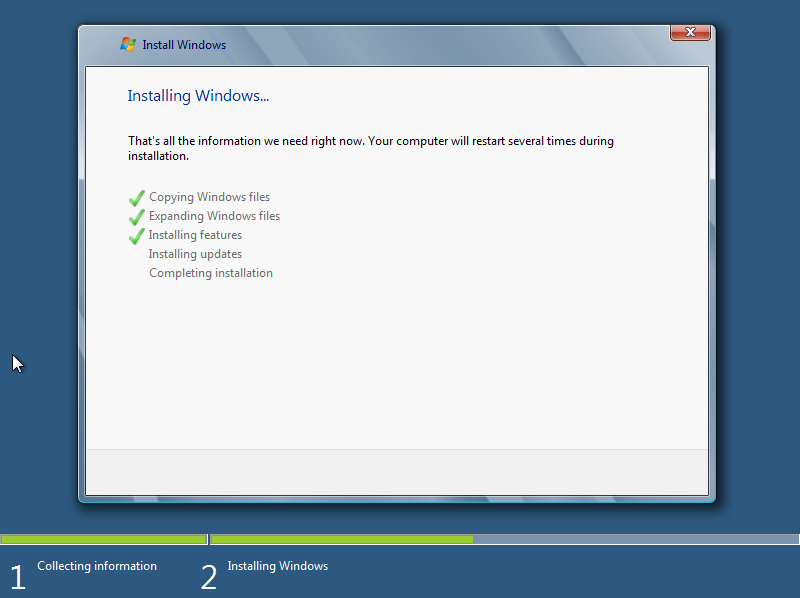 After clicking the “Install now” button, the install starts. 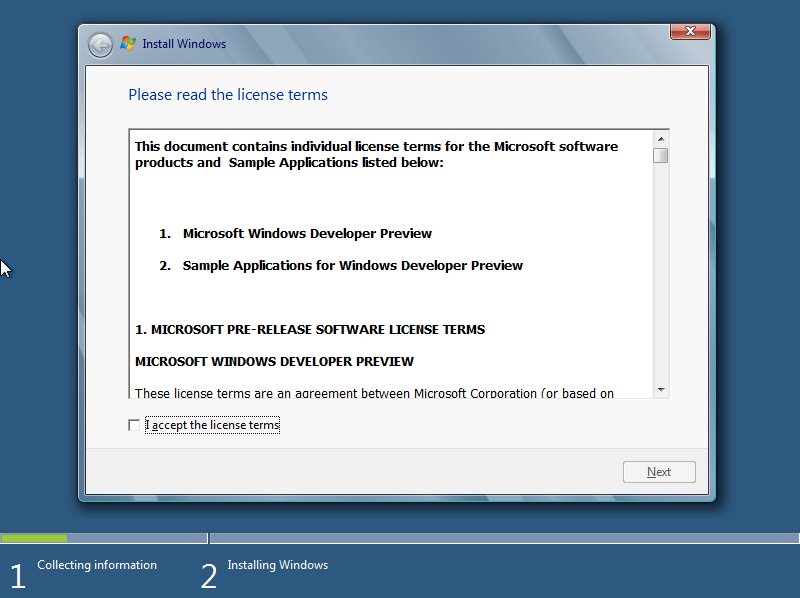 The first thing you’ll see is the license agreement. 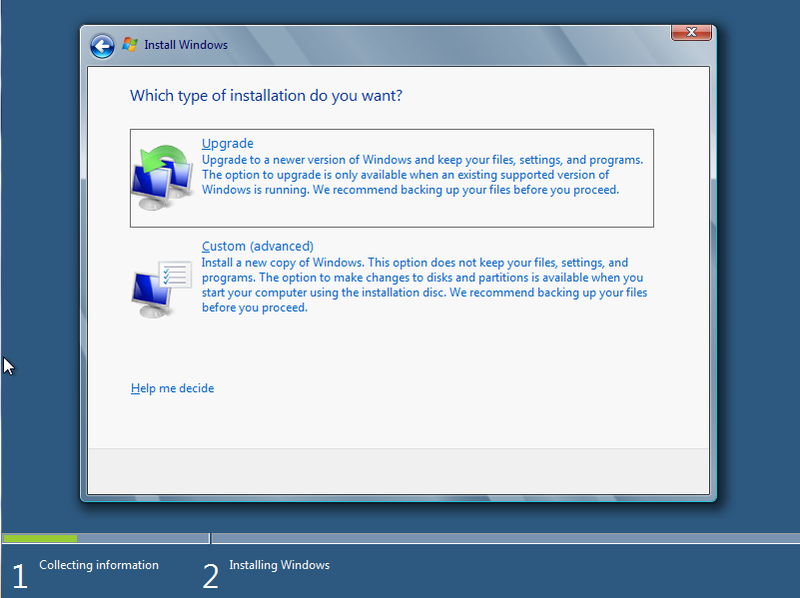 You then get the option to upgrade or do a clean install. 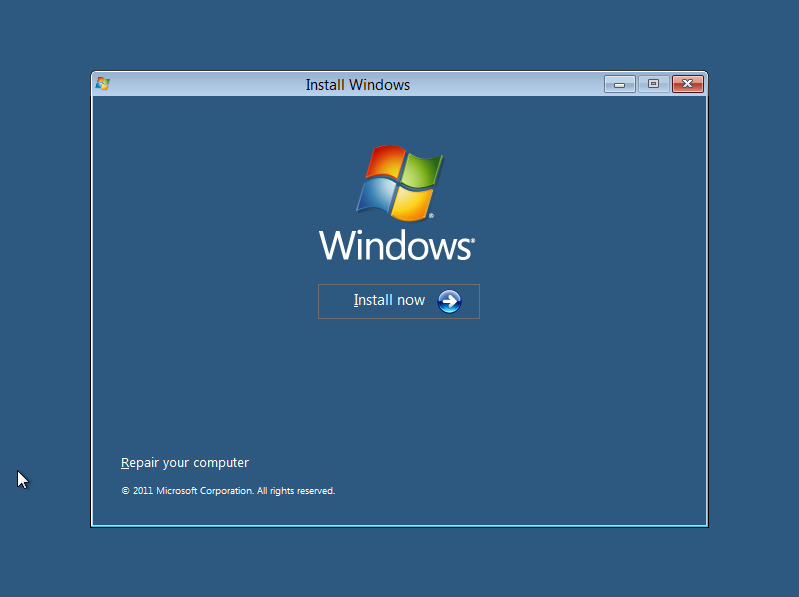 Note that, according to the keynote, you can not upgrade Windows 7 to Windows 8, but must do a clean install. 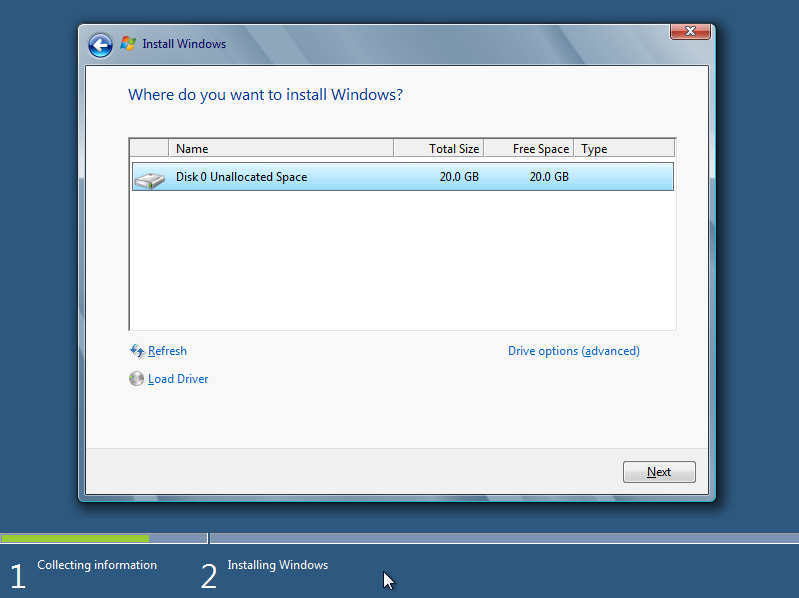 Clicking on the Custom button to do a clean install gets you to a page where you select a partition to install Windows 8 to. The install process then starts. 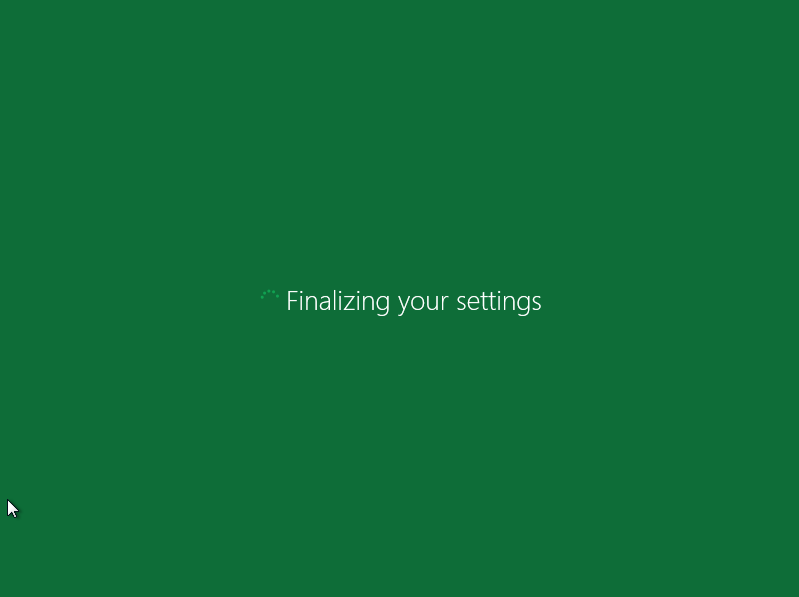 Things proceed quickly, with the “Expanding Windows files” step taking the longest. 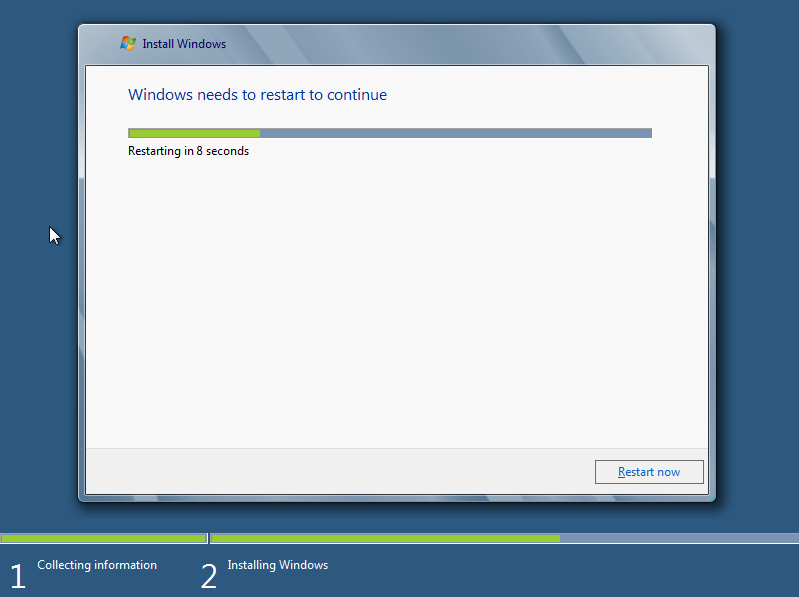 Once the basic install steps have completed, Windows tells you that it’s going to reboot before continuing. 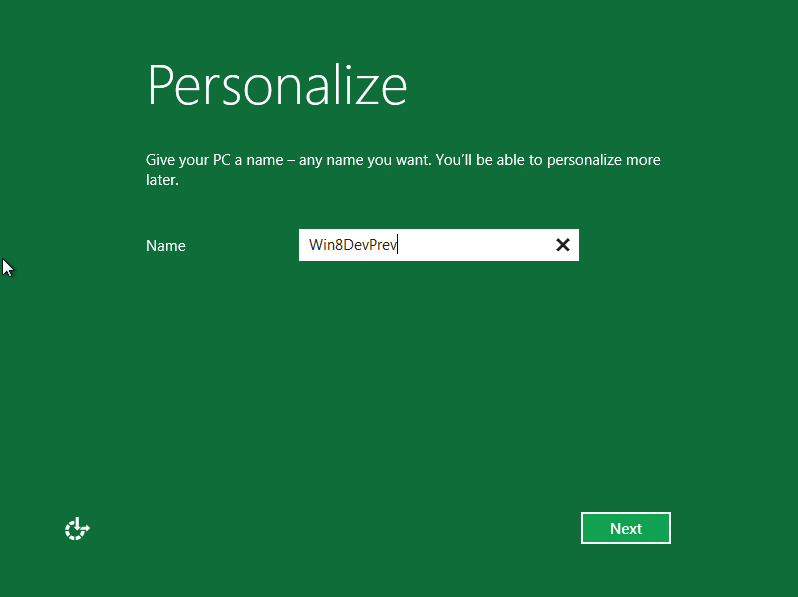 Windows 8 now boots from the hard drive for the first time. 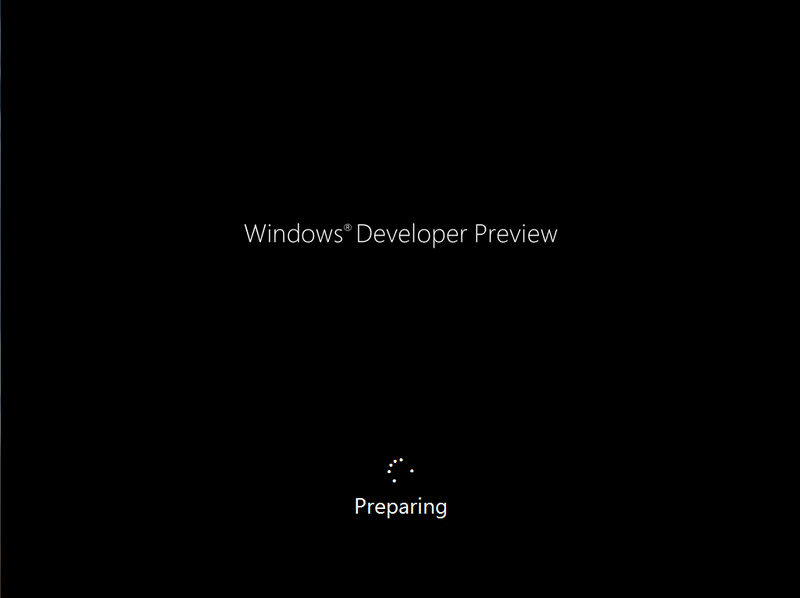 It announces itself once again as the Developer Preview and says that it is “Preparing”. 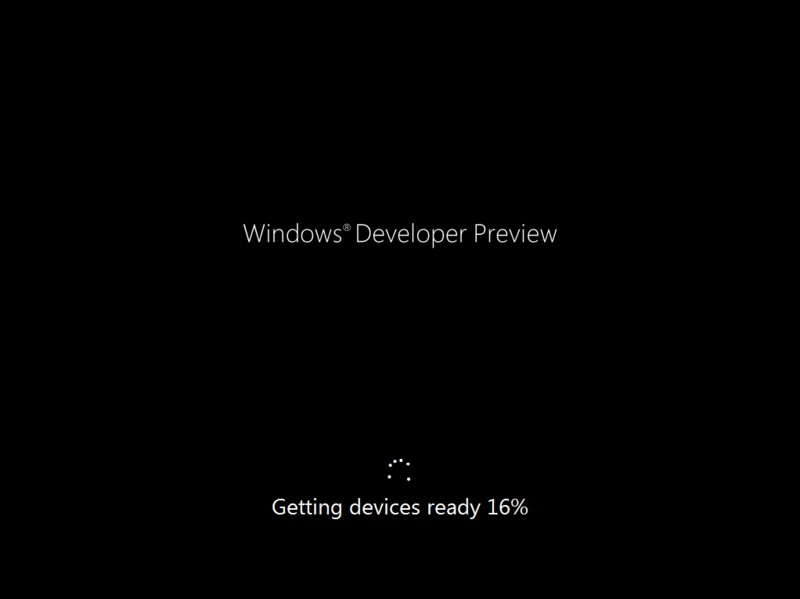 It then says that it is “Getting Devices Ready”. 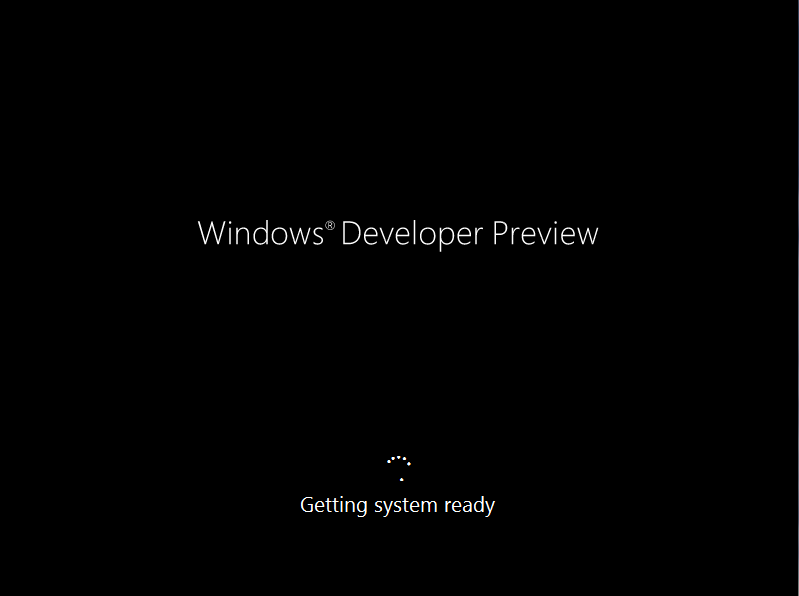 When this step is complete, we see that Windows is “Getting system ready”. 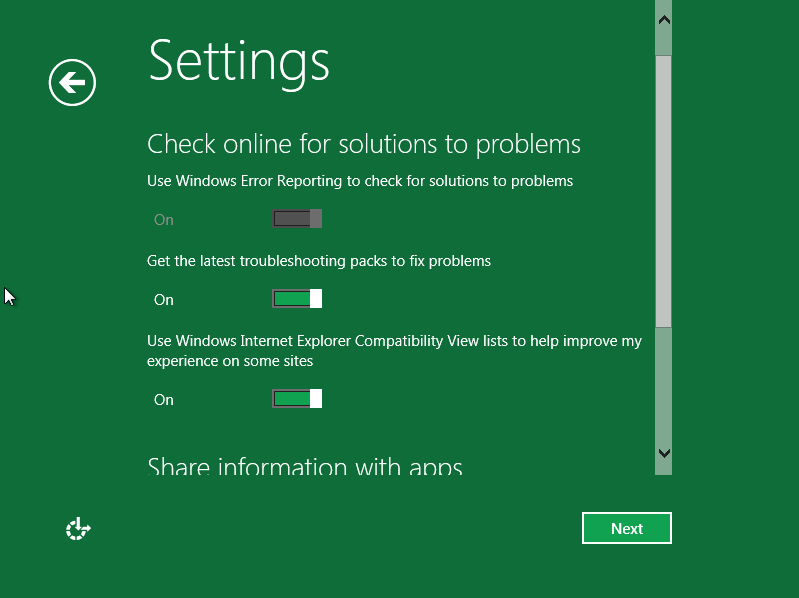 And Windows will reboot once again. After the reboot, we do some more “Preparing”. And finally, we see the first configuration screen and the first appearance of a Metro style user interface. In the first step, we give the PC a name. We then see a Settings page, where we can accept the default recommended settings, or choose “Customize” to set things up explicitly. When you select “Customize”, you’ll first be asked whether to turn on sharing. 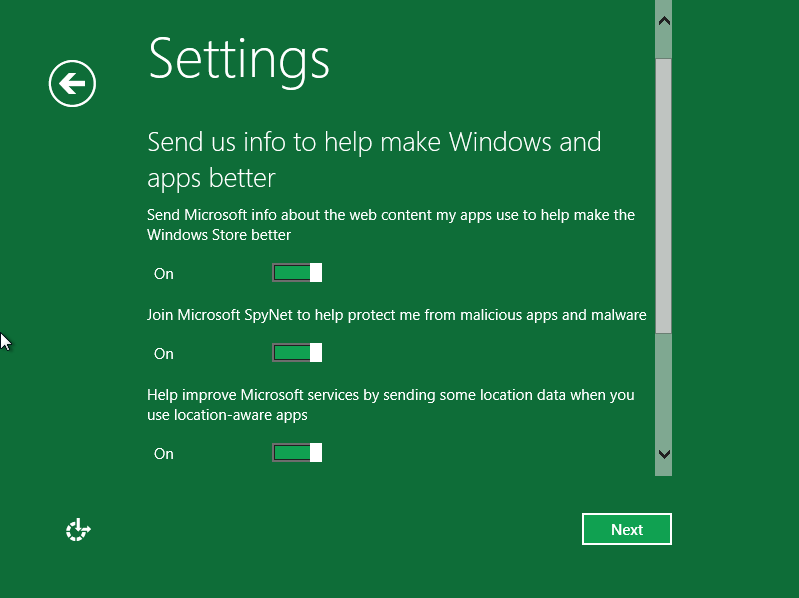 You’ll then see some security-related settings (shown below as two separate screen captures). It’s actually a little disappointing that they’ve made the text so large that you’re required to scroll to see everything on this page. They should have either split this into two pages, or used a smaller font so that you could read everything without scrolling. 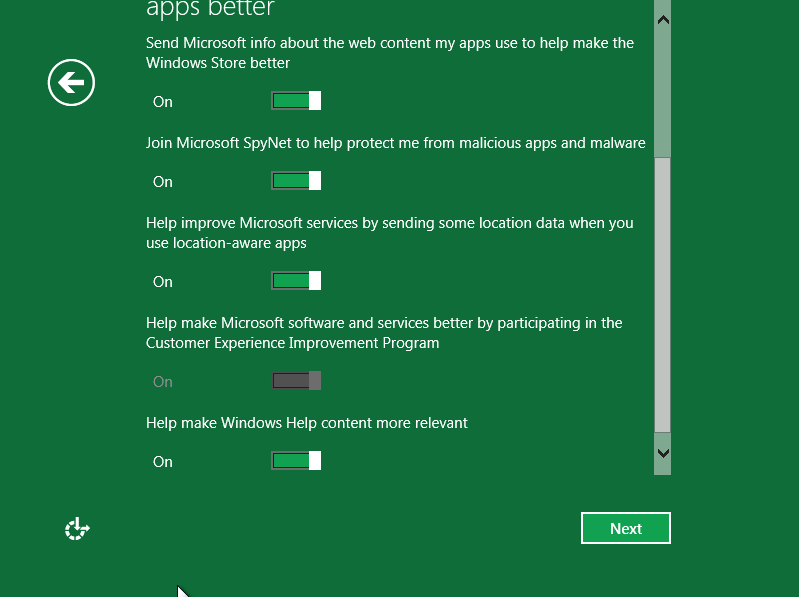 You’ll then be asked questions about what information you’re prepared to share with Microsoft. It’s nice that they ask our permission for all of this, but you should note that these options are all ON, by default. 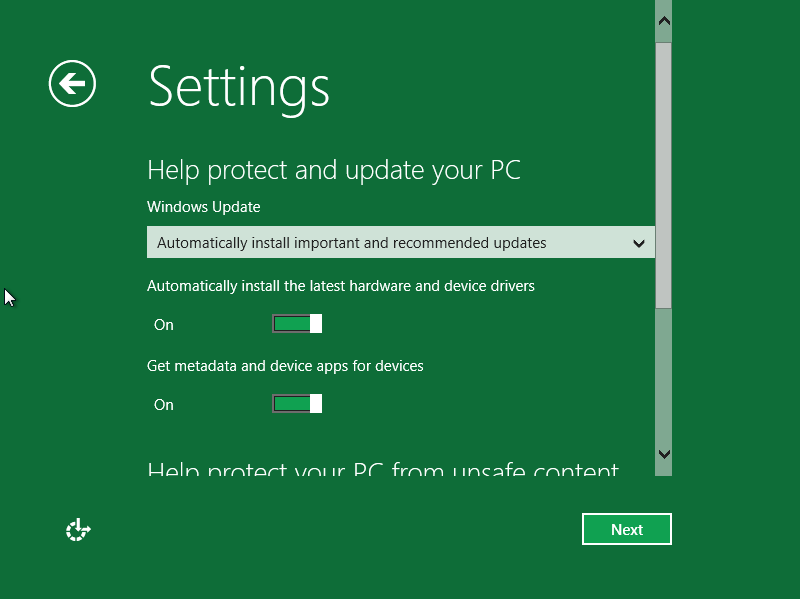 You’ll then see a settings page related to updates. 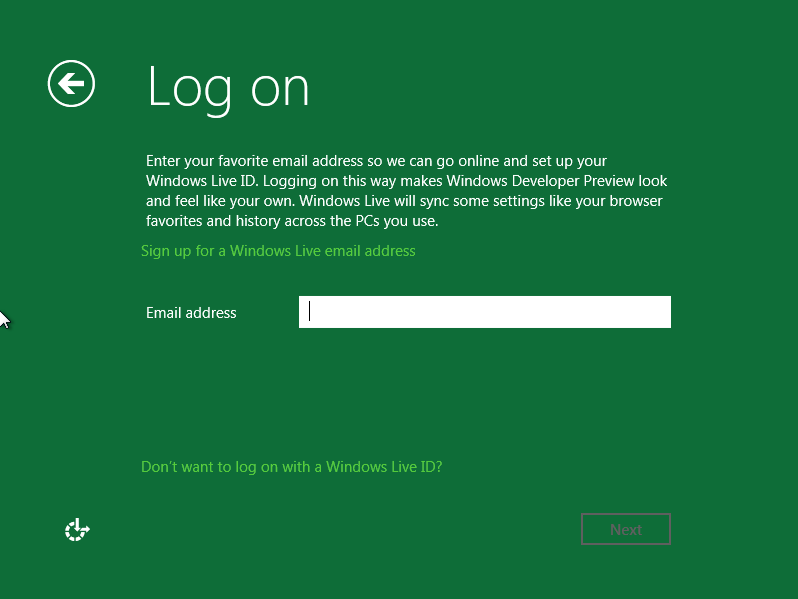 You now see a Log on screen, where you can log into Windows using your Windows Live ID. 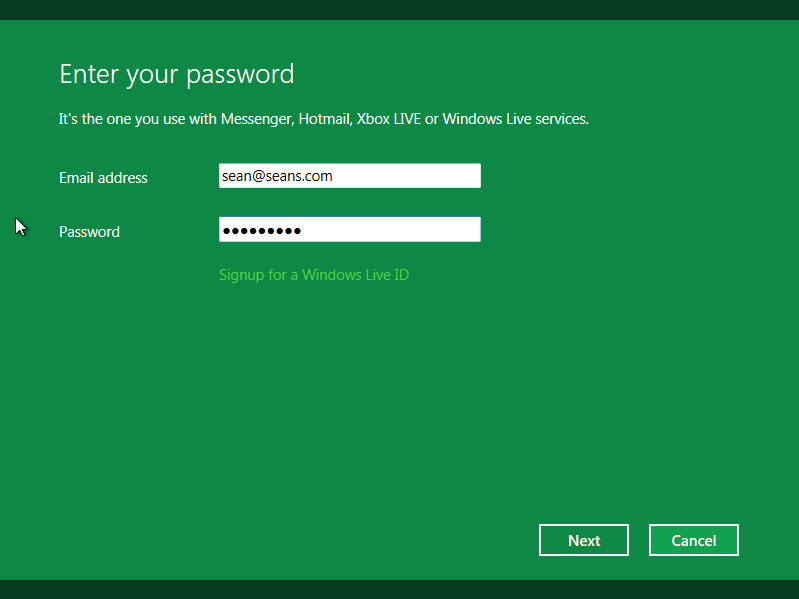 You enter your e-mail address and Windows Live password. 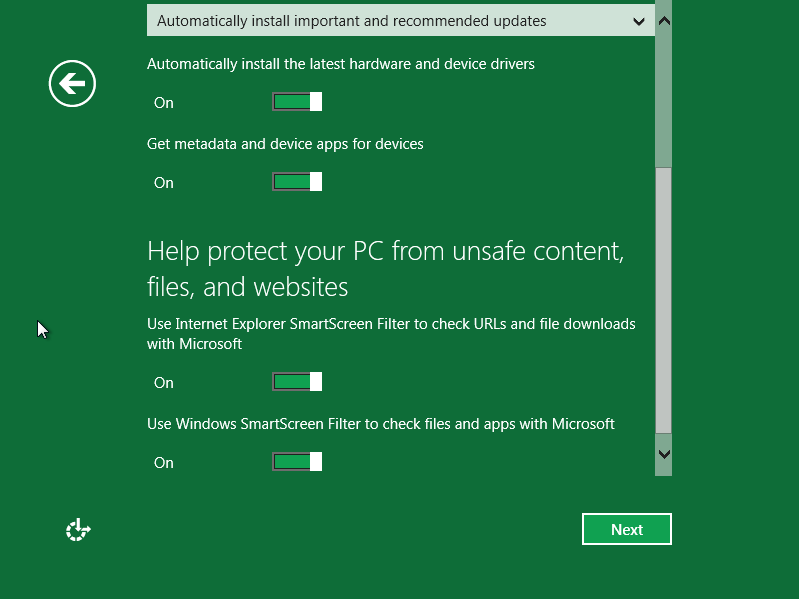 Windows goes off and does something will all of these settings. You get one more “Preparing” screen. 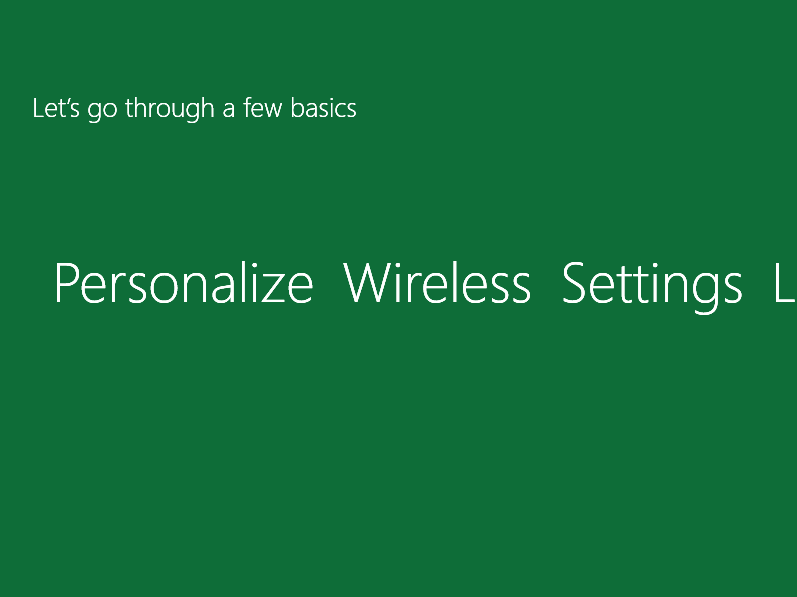 And Windows does a little more work in configuring your settings. 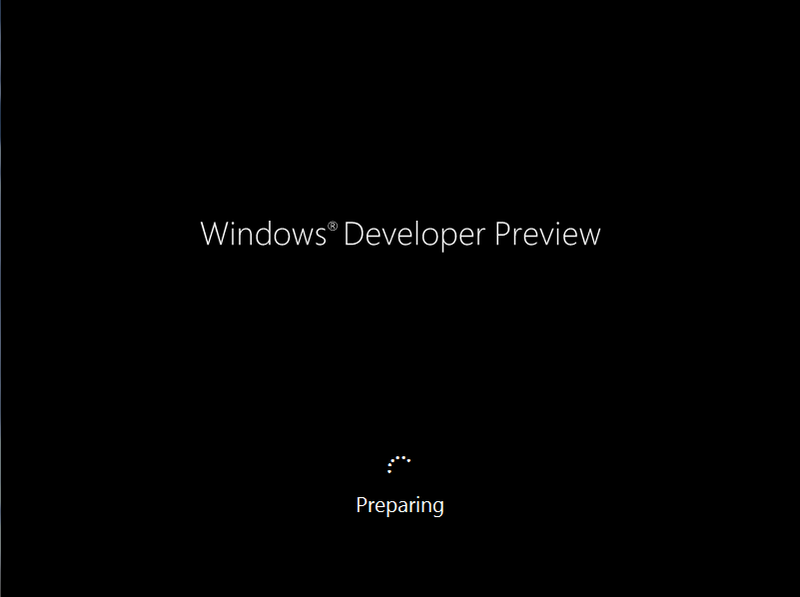 At this point, you’ll get a brief glimpse of the Windows 8 desktop. 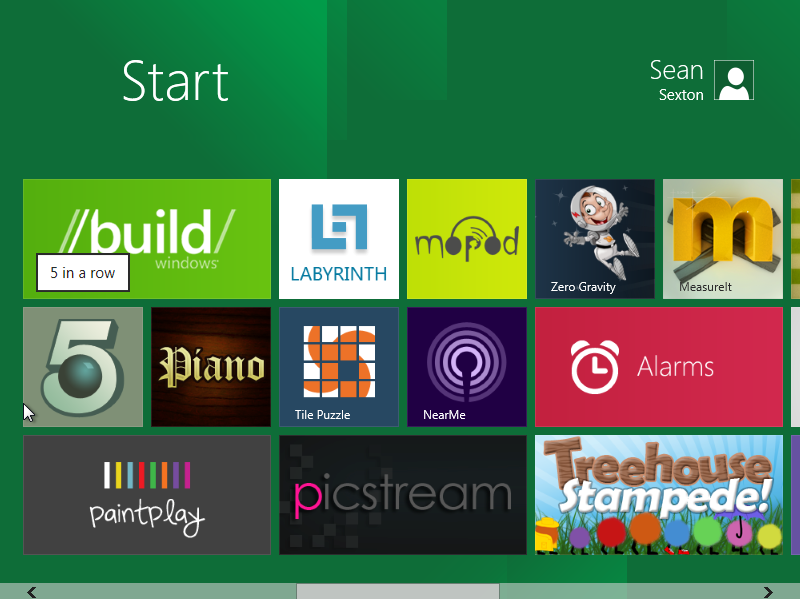 Finally, the Metro user interface shows up, listing all of the apps that you can launch from Metro. 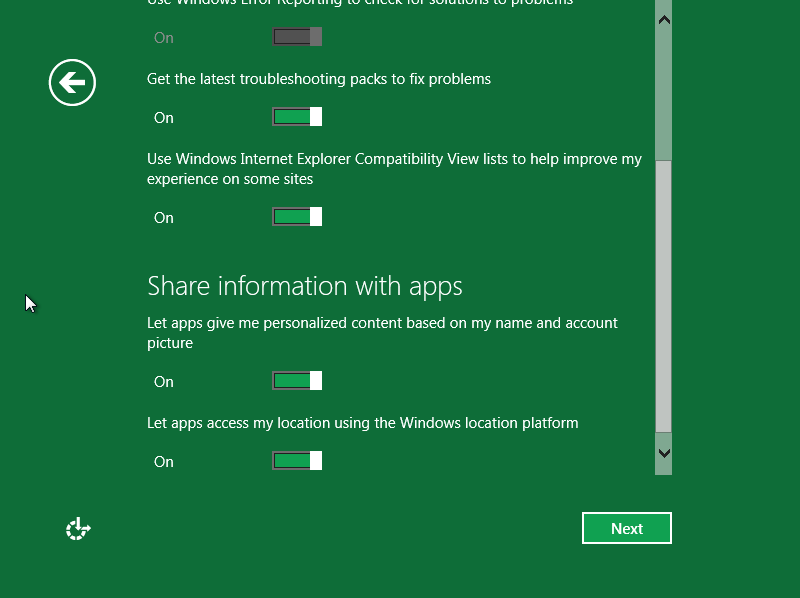 As you scroll to the right, you can see the full set of apps that show up in Metro in this developer preview. 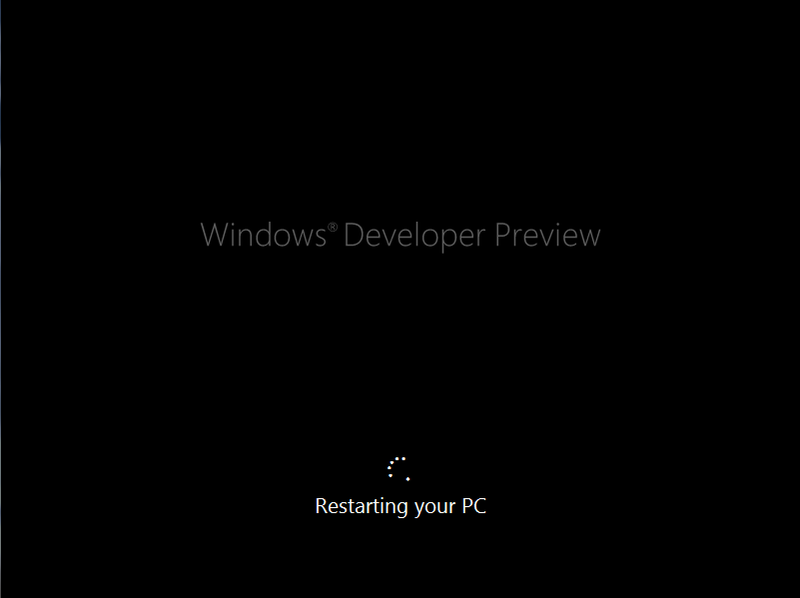 At this point, Windows 8 is up and running. Note that you can switch to the classic Windows desktop by clicking on the “Desktop” app in the Metro interface, or by pressing the Windows key on your keyboard. 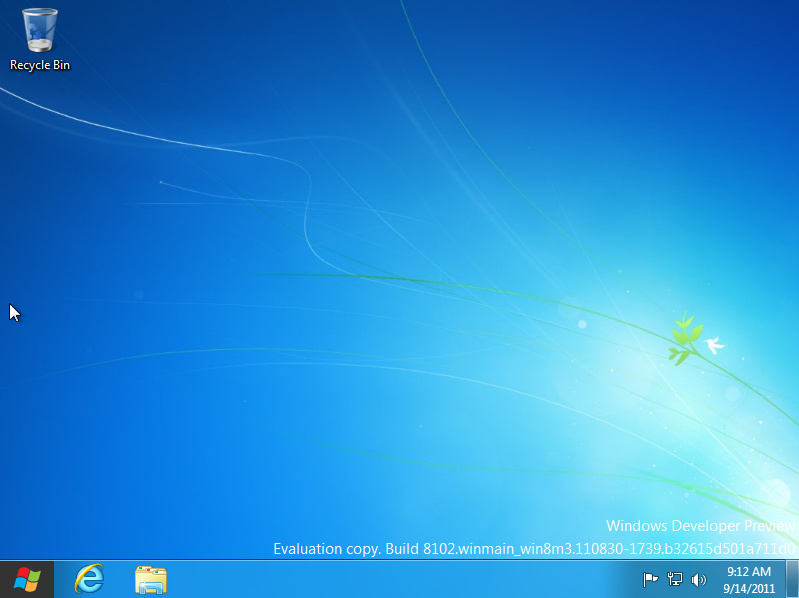 You’ll see the familiar Windows desktop. Clicking on the Windows icon at the lower left will switch you back to the Metro user interface. Nice step by step informations. Thanks to Sean.